Principal of Naza Academy, Amirul Sulaiman delivering his welcome address to the graduates and guests of the graduation ceremony. YB Dato’ Haji Mahfuz bin Haji Omar, Deputy Minister of Human Resources and YB Dr. Salmee Binti Said. Jawatan, Kedah State Executive Councilor together with the management of Naza Academy. 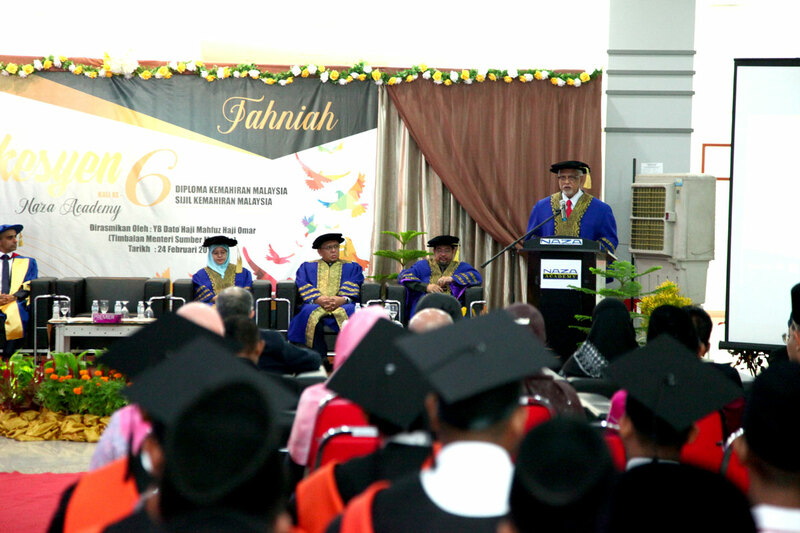 YB Dato’ Haji Mahfuz delivering a motivational message to the graduands during his speech. 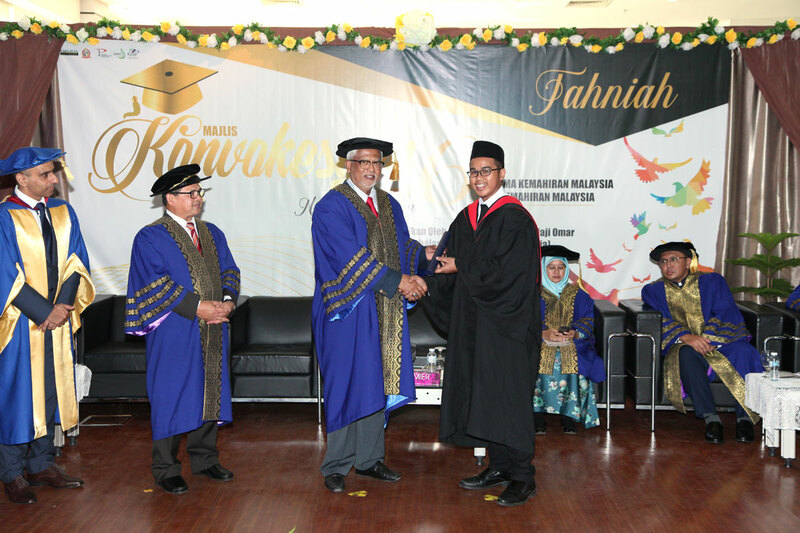 YB Dato’ Haji Mahfuz presenting graduands with their certificate. The graduates were grinning from ear-to-ear celebrating ther completion of their studies. 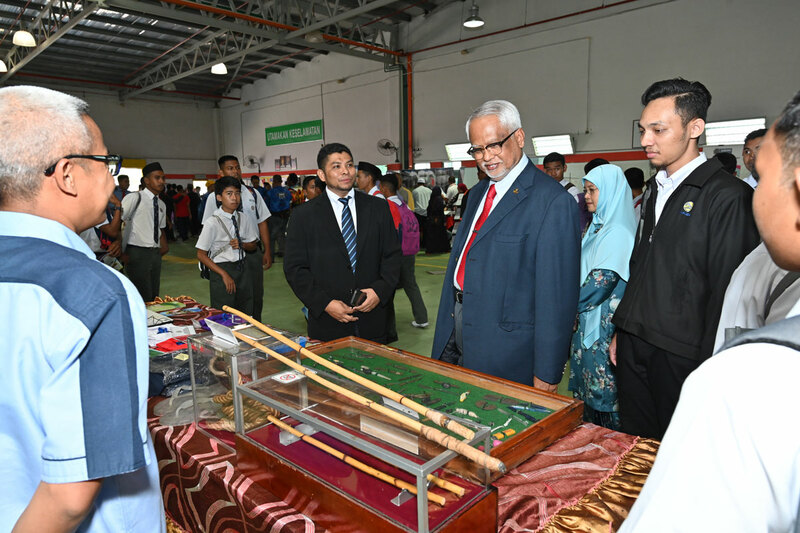 YB Dato’ Haji Mahfuz visiting one of the exhibition booths on campus during the Open Day. GURUN, KEDAH, 24 February 2019 – Naza Academy, an accredited Technical and Vocational Education and Training (TVET) Centre in Gurun, Kedah held a grand graduation ceremony this morning for 70 graduates of its Diploma in Skills Malaysia (Diploma Kemahiran Malaysia) and Malaysian Skills Certification programmes (Sijil Kemahiran Malaysia). 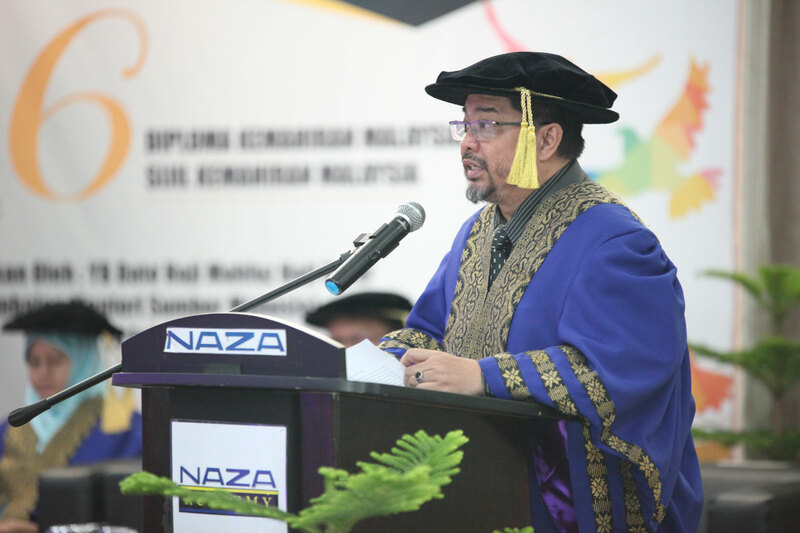 The graduation ceremony was graced by the Deputy Minister of Human Resources, YB Dato’ Haji Mahfuz bin Haji Omar. 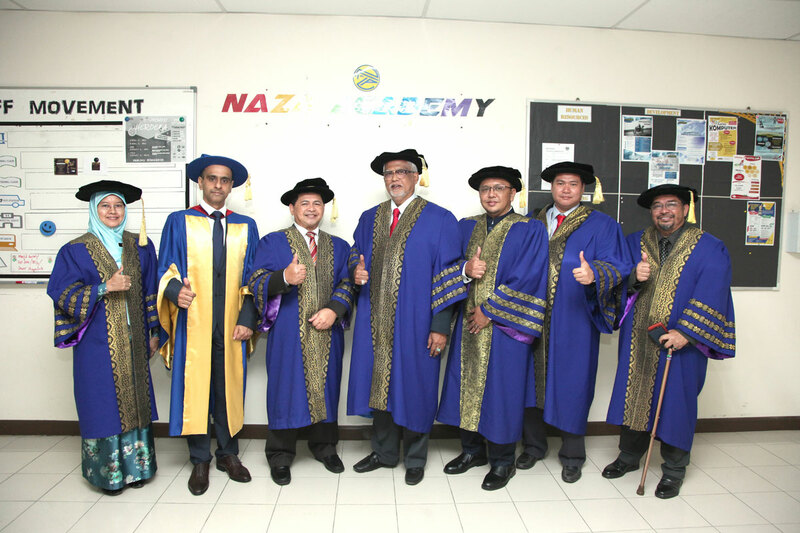 “We are proud to witness yet another successful batch of Naza Academy students graduate today, dedicated individuals who have spent a great deal of time and effort to obtain their Diploma in Malaysia Skills and Malaysian Skills Certification. It is our mission at Naza Academy to continue producing skilled and capable graduates prepared to join the constantly evolving industry of automotive. With this, we hope to encourage more students at Naza Academy to follow in their seniors’ footsteps towards achieving a strong tertiary education,” said the Principal of Naza Academy, En. Amirul Sulaiman. The Deputy Minister of Human Resources stated during his speech, “Vocational education and training has been proven to contribute to the upskilling of human capital, aligned with the country’s objective to reach the status of a developed country. With the education and training provided by TVET institutions, it results in a well-trained and competent workforce which contributes positively to the needs of the industry and the labour market as well as enhance efforts in producing higher income workers”. In addition to the graduation ceremony, Naza Academy also held an Open Day Exhibition inviting people from the public to participate in fun activities around the campus such as exhibition booths by Naza Education and government agencies, automotive show, motorcycle show, blood donation drive, photo booths and many more. To add to the lively atmosphere, visitors also enjoyed free inspection for their vehicles and a variety of food at the foods trucks corner. For more information on Naza Education, visit www.naza.edu.my.